I would like to get more into sourdough myself after hearing about starters they make in France beginning with apple peels and other interesting carriers of wild yeasts. Long involved process until you even get to make your first loaf. These kind of difficult projects with big payoffs in flavor and learned skill is what I live for. This process of learning to brew LoDO, relearning to brew, is also a perfect fit. 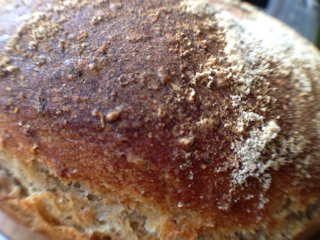 Bilsch wrote: ....Harder to make good bread than good beer, I think. Beer (even _great_ beer) is comparatively easy. Certainly it must depend on what your goals are but I think pre lodo, I would have would have said good bread is harder to make. Post low oxygen brewing though, I'm thinking beer is more difficult to perfect. That's a really nice looking crispy crust you have there Tech.